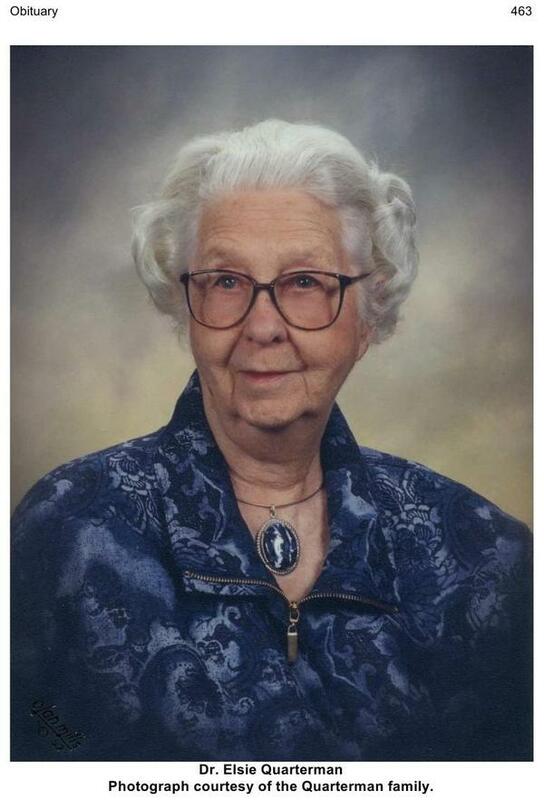 Dr. Elsie Quarterman known fondly to her students as EQ passed away on 9 June 2014 at her home in Nashville, Tennessee, at the age of 103 years. She was born on 28 November 1910 in Valdosta, Georgia. Dr. Quarterman obtained her B. A. degree from Georgia State Women’s College (now Valdosta State University) in 1932, after which she taught English in the Georgia public schools for 11 years. She obtained her M.A. degree in botany from Duke University in 1941 and her Ph.D. from the same institution in 1949. Her Ph.D. advisor was the renowned plant ecologist Professor Henry J. Oosting. EQ’s M.A. degree was on the distribution of Compositae in Lowndes County, Georgia, and her Ph.D. degree on the plant communities of the cedar glades of middle Tennessee. She published papers from her dissertation in The Bryologist (1949), Bulletin of the Torrey Botanical Club (1950) and Ecology (1950). Dr. Quarterman joined the faculty of Vanderbilt University as an instructor of biology in 1943 and was promoted through the academic ranks to professor in 1966; she served as Chair of the Department of General Biology from 1961 to 1963. EQ retired from Vanderbilt in 1976 and became Professor Emerita. In the academic world, Dr. Quarterman is best known for her work on the plant communities of the middle Tennessee cedar glades. She also is well known for the publication entitled “Southern mixed hardwood forest: climax in the southeastern Coastal Plain: U.S.A.” coauthored with her long-time friend the late Dr. Catherine Keever and published in Ecological Monographs in 1962. Her first journal paper, entitled “A preliminary survey of the bryophytes of two cedar glades,” was published in The Bryologist in 1947. Her last paper, which she coauthored with her former Ph.D. students Carol and Jerry Baskin, entitled “Flow diagrams for plant succession in the middle Tennessee cedar glades,” was published in the Journal of the Botanical Research Institute of Texas in 2007. Altogether, Professor Quarterman authored or coauthored about 25 papers in referred journals. 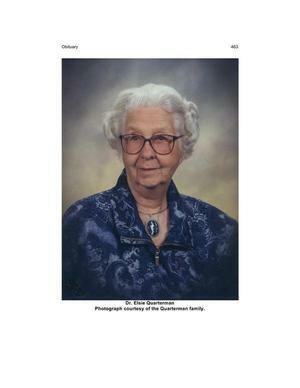 Another of her important scientific contributions was a chapter entitled “Rock outcrop communities: limestone, sandstone and granite” coauthored with M. P. Burbank and D. J. Shure and published in the “Upland Terrestrial Communities” volume of “Biodiversity of the Southeastern United States” edited by W. H. Martin and others and published by John Wiley & Sons in 1993. Additionally, after retirement EQ and Dr. Richard Powell, a geologist from Indiana, worked on a 5-year contract with the National Park Service to survey “Potential ecological/geological natural landmarks on the Interior Low Plateaus,” a physiographic province that extends from southern Indiana, extreme southern Ohio and southern Illinois through central/west-central Kentucky and central Tennessee to northern Alabama. The 738-page document resulting from this work is a valuable contribution to our knowledge of the plant ecology, geology and physiography of the Interior Low Plateaus. Professor Quarterman taught a wide array of courses in plant biology at Vanderbilt, including general botany, plant ecology, plant autecology, plant geography, systematic botany and plant anatomy. We took graduate courses in plant ecology, plant autecology and plant geography with her and today judge that her teaching was “ahead of its time.” That is, EQ insisted that students engage in active learning via reading the literature rather than them listening to long detailed lectures and subsequently memorizing the notes for the exam — then quickly forgetting everything. Her method of teaching/training has served us well in research and in interpreting the scientific literature. Dr. Quarterman served as major professor for seven students who obtained a Ph.D. degree and for six who obtained the Master’s degree. EQ was highly regarded as a teacher and in 1988 received the Association of Southeastern Biologists Meritorious Teaching Award. Dr. Quarterman was a very gracious person and concerned about her graduate students. For example, she loaned us her personal car (with gas in the tank) on a number of occasions to visit cedar glades in middle Tennessee, northwestern Georgia and northern Alabama, in connection with our Ph.D. research in the mid-1960s. Also, Dr. Quarterman gave us money for gasoline to go on a field trip escorted by Dr. Delzie Demaree to Illinois in search of Astragalus tennesseensis (Carol’s study species), after Jerry purchased a 1957 Ford. There were many field trips to the cedar glades, about which Dr. Quarterman had considerable expertise; she was always eager to share her knowledge on their unique flora and plant communities. We, along with several other graduate students, enjoyed several trips with EQ to various universities in the southeastern USA to attend the annual meeting of the Association of Southeastern Biologists. All these acts of kindness are remembered by us and other students, with much gratitude. Dr. Quarterman served the scientific community in many ways, including Vice President of the American Bryological Society, President of the Association of Southeastern Biologists, Chair of the southeastern section of the Botanical Society of America and member of the Editorial Board of Ecology and of the Plant Science Bulletin. EQ was a member of the Executive Committee of the Tennessee Academy of Science, editor of the Journal of the Tennessee Academy of Science, and served on the Board of the Highlands (NC) Biological Foundation (Station). Professor Quarterman was a Fellow of the American Association for the Advancement of Science, of the Tennessee Academy of Science, and of the Association of Southeastern Biologists. In addition to her university and society duties, Dr. Quarterman was very much engaged in conservation efforts, especially in Tennessee. She was a founder and active member of the Tennessee Protection Planning Committee (an inter-agency forum to coordinate efforts to preserve ecologically important areas in the state), a very active board member of the Tennessee Nature Conservancy for many years and served on the Tennessee Environmental Council. Dr. Quarterman played an important role in the preservation of a remnant virgin forest in Savage Gulf on the west-facing escarpment of the Cumberland Plateau in Grundy County, Tennessee, and inspired the preservation of Taylor Hollow on the Highland Rim in Tennessee. She was involved with the Tennessee Botanical Gardens at Cheekwood (in Nashville) for many years and served as Acting Director (1967-68). 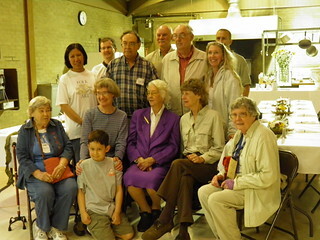 She was a member of Friends of Warner Park, Friends of Radnor Lake, a strong supporter of the Middle Tennessee State University Center for Cedar Glade Studies and worked with the U.S. Corp of Engineers to identify and preserve some of the cedar glade communities on Percy Priest Reservoir Lands. For her conservation efforts, she received the Oak Leaf Award from The Nature Conservancy, the George B. Fell Lifetime Achievement Award from the Natural Areas Association and the Sol Feinstone Environmental Award from the State University of New York College of Environmental Science and Forestry. Dr. Quarterman will be remembered as a fine southern lady who loved her family and students, studied cedar glades, had a deep appreciation of the value of natural ecosystems and worked tirelessly for the preservation of natural plant communities. In her honor, a 185-acre cedar glade in the U.S. Army Corps of Engineers Percy Priest Reservoir and Wildlife Management Area near La Vergne, Tennessee, has been named the “The Elsie Quarterman Cedar Glade,” and the annual wildflower weekend at Cedars of Lebanon State Park in Tennessee has been renamed “The Elsie Quarterman Wildflower Weekend.” Also, the Elsie Quarterman-Catherine Keever Award is given by the Southeastern Chapter of the Ecological Society of America for the best student poster at the annual meeting of the Association of Southeastern Biologists. The thing that many people will remember about Dr. Quarterman is that she and one of her students, the late Dr. Barbara Turner, discovered a population of the Tennessee coneflower (Echinacea tennesseensis) in a middle Tennessee cedar glade in 1969; the species was thought to be extinct, thus accounting for the great excitement upon its rediscovery. One of Dr. Quarterman’s Ph.D. students, Dr. Thomas Hemmerly, studied the ecology of this coneflower for his dissertation research. Dr. Quarterman worked hard to help educate the public about the significance of this federally endangered cedar glade endemic and served on committees to plan for its protection and recovery; the species was delisted in 2011. Now, many people in Tennessee can recognize the Tennessee Cone Flower and have come to appreciate it — a fine and fitting tribute to the lady who loved the “flower gardens” of the cedar glades and spent many years educating people about the wonders of plants and of the necessity of preserving their habitats.